The last time many American fans may have seen heavyweight Kubrat Pulev was when Wladimir Klitschko torched the man in thunderous fashion back in their 2014 heavyweight title bout. It was a major battle, as Pulev was undefeated and deserving of the shot. Still, he proved no match for the long reigning champion that day in Germany. 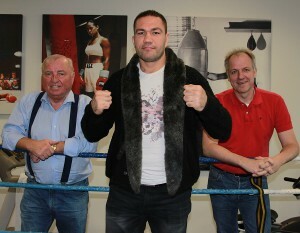 Pulev has been active since that time, however, facing, and besting, the likes of Samuel Peter and Derek Chisora. Now, close to three full years removed from his devastating loss to Klitschko, the 25-1 Bulgarian will once again be challenging for the heavyweight crown. For Pulev will face none other than Anthony Joshua, the 19-0 reigning heavyweight king, on October 28th in Wales. Many had hoped, or even assumed, that Joshua would be fighting Klitschko himself for the second time, as the Englishman had overcome the former champion in brilliant fashion earlier this year in front of eighty thousand people in England. Klitschko, however chose retirement over facing his conqueror twice. And that left the door wide open for Pulev, who is the number one ranked IBF challenger, to get his second shot at supremacy. Needless to say, the man will have his work cut out for him. Joshua has won all of his fights by knockout, after all. What’s more, the Englishman proved he could hang with top level competition when he got off the mat to overcome Klitschko last spring. 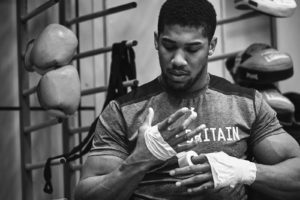 In other words, Joshua is more than just a hard puncher with an Adonis-like physique. He’s a talented new breed supersized heavyweight who has more than simple size and strength in his arsenal. Pulev, though, is no slouch himself. The fighter has an effective, often probing, jab and a strong straight right. Whether or not that will be enough to meet the aggression, underrated footwork and finishing power of Joshua remains to be seen. Joshua, as Klitschko proved, can be sent off his feet. There’s little doubt, though, that Joshua is THE rising star in boxing right now. He might not be as established as Canelo Alvarez or Manny Pacquiao at the moment, but the fighter is enormously popular in England and appears to be on the cusp of gaining an international fandom. The heavyweight powerhouse has expressed serious interest in the fighting in United States, but for the moment will settle on Great Britain, where he’s known to pack in thousands. Sure enough, 80,000 spectators gathered to see Joshua fight Klitschko in his last title defense. This time the man can possibly fill over 70,000 seats when he meets Pulev at Principality Stadium in the Welsh capital of Cardiff, leaving little room for argument that Joshua is now one of the biggest draws in boxing.